The RYOBI 40V Replacement Power Head brings you Gas-Like Power and the convenience of hassle free performance. Attachment systems are no longer just for gas-powered units, this replacement head runs off of any of the RYOBI 40V Lithium-Ion batteries and is part of the growing RYOBI 40V family of tools. The replacement power head is the perfect tool to change over from gas to cordless power. The RYOBI 40V X Replacement Power Head works with 5 of the Expand-It universal attachments and is always ready for any job. 40V-X Replacement Power Head The RYOBI 40V Replacement Power Head brings you Gas-Like Power and the convenience of hassle free performance. Attachment systems are no longer just for gas-powered units, this replacement head runs off of any of the RYOBI 40V Lithium-Ion batteries and is part of the growing RYOBI 40V family of tools. The replacement power head is the perfect tool to change over from gas to cordless power. 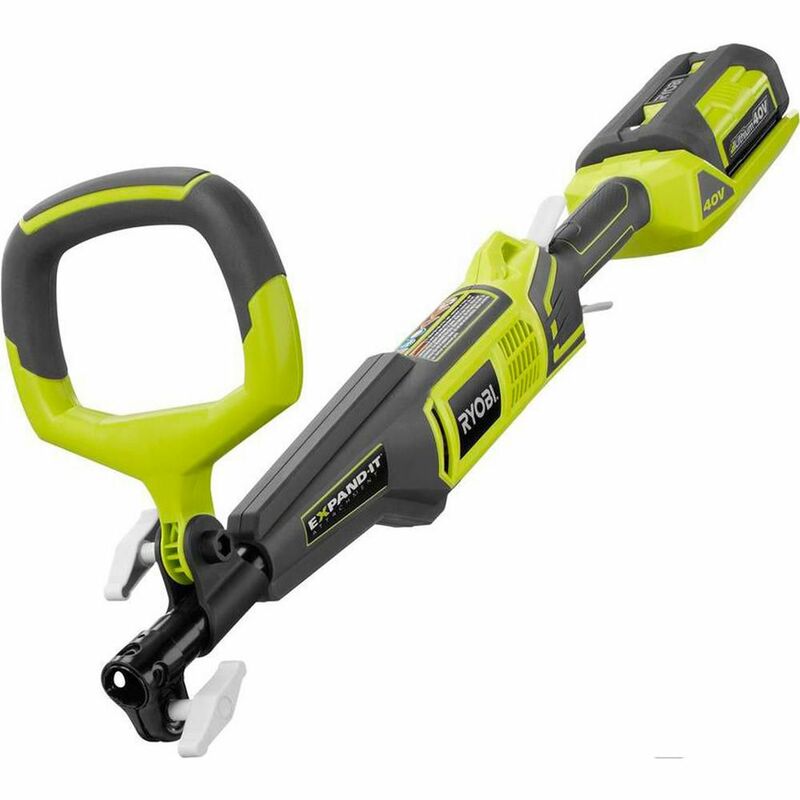 The RYOBI 40V X Replacement Power Head works with 5 of the Expand-It universal attachments and is always ready for any job.